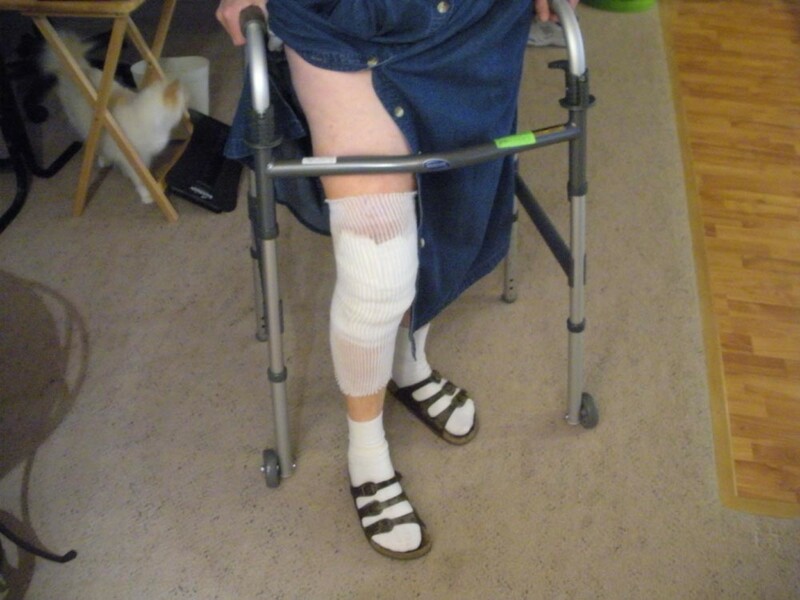 About 12 years after my injury, I finally had medical coverage for knee replacement surgery. The procedure wasn't as bad as I had feared. About twelve years after I injured my knee, I finally had medical coverage. 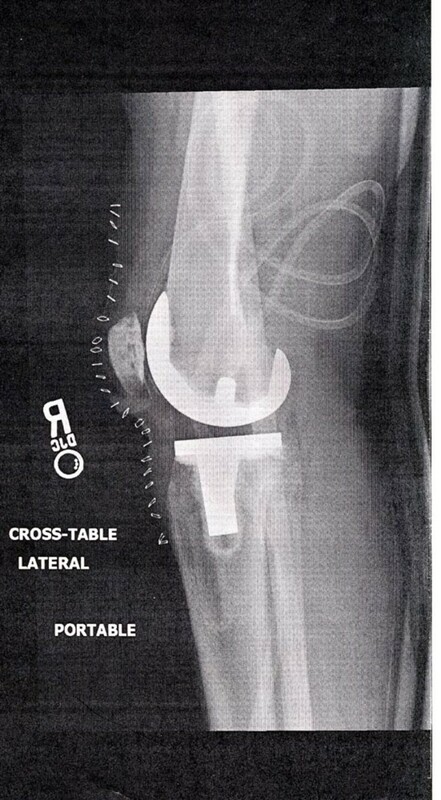 By then, the damage was so great, and walking was so painful, that a full knee replacement was my best option. I was very nervous at the prospect because I have been healthy all my life—and my only prior experience with being in a hospital was when I had my children. Well, it wasn't as bad as I had imagined or feared. This is my story. When Do You Need a New Knee? If you are having daily range-of-motion issues; reduced mobility; pain on walking or even when at rest, it’s time to consult your doctor. For the initial visit, you will probably see your primary general doctor, who will refer you to an orthopedist. 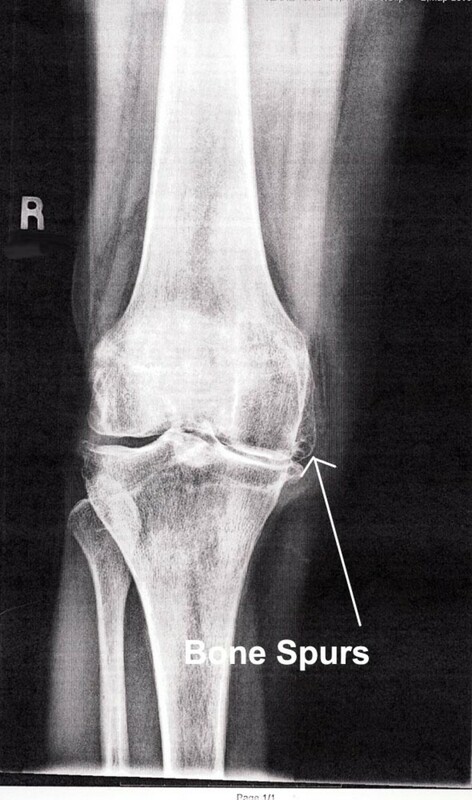 That doctor will send you for diagnostic images, which may include x-rays and possibly an MRI of the affected knee. 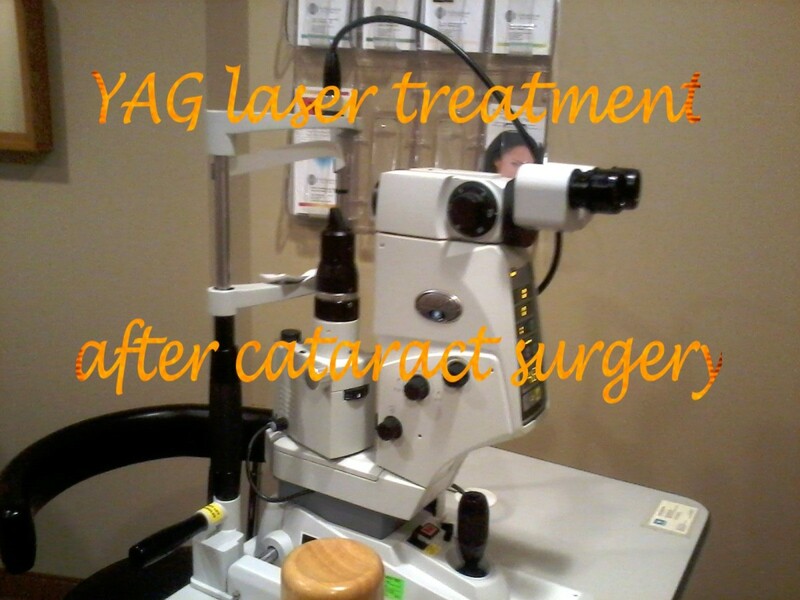 These will show him how far advanced your condition is, and recommend for or against a replacement surgery. Ultimately however, the decision of whether to undergo the surgery or just deal with things as they are is up to you. The surgery itself comes in two options: full or partial replacement. Which is right for you will be determined by your surgeon. Over time, as we age, our joints become less flexible, and we are subject to arthritis and its various discomforts. This can damage the joint to the point where it no longer functions well and a replacement would help. There is also the possibility that the knee was injured suddenly and too severely to repair, and a replacement is in order. Again, in either case, these diagnoses are made by the orthopedist in consultation with you, the patient. Speaking from personal experience, I would highly advise that in the case of an injury, you go for it, and the sooner the better if possible. The how and why is a long, boring story, but my initial injury (a torn meniscus; a much easier repair), was not treated until twelve years later. I grew progressively worse, until arthritis also set in, and I was out of options. Once I aged enough to be eligible for Medicare, I was able to get the repair done, (in April of 2013), but by that time, the problem was of such long-standing that my rehabilitation period was longer than it otherwise might have been. Once your surgery is scheduled, depending upon your health care provider, you may or may not be sent to a class to learn all the things that will happen in the hospital and afterwards at home. This includes anesthesia options; what to expect in the hospital environment; physical therapy in-hospital and after; whether or not you have adequate help at home during recovery, and so forth. You'll be sent for blood work, and possibly an EKG to make sure your heart is able to withstand the anesthetic and the surgery. You will also be strongly encouraged to have any necessary dental work completed prior to your surgery. This is because any infection present in your mouth can possibly migrate through the bloodstream and into the surgical site. 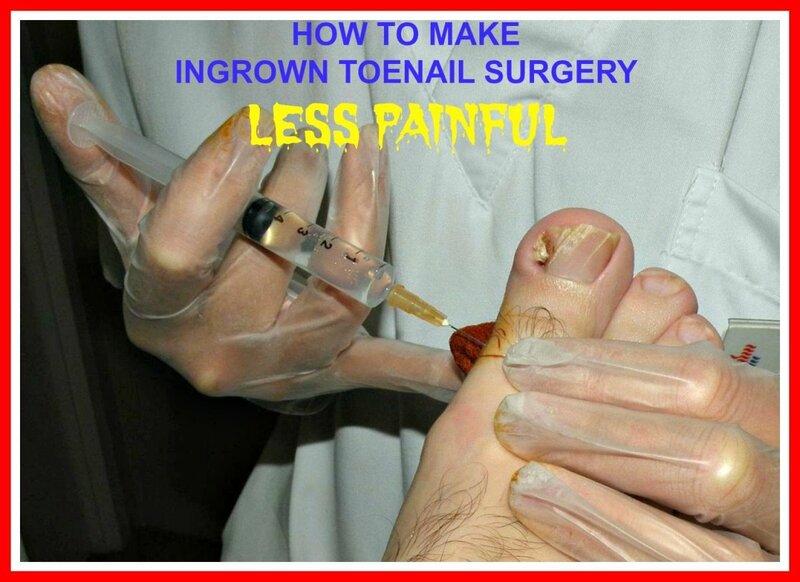 An infection there would be very bad news indeed, and could jeopardize the entire procedure. The decision to have or not have this surgery is up to you, the patient, and not the doctor alone. Be vigilant about your rights as the owner of the body inside of which you live. Once you are checked in on the day of the operation, you’ll be poked and prodded with various preparatory things…ranging from blood pressure cuffs, thermometers and placement of the IV (Intravenous) catheter for administration of first, the anesthesia, then fluids and pain control medications afterwards. Most likely, you’ll see your surgeon briefly, and he (or she) may write on your leg to mark the correct one--a very important thing! The anesthesiologist will also see you, and explain that procedure. It can all be a little confusing and intimidating, and you will no doubt be nervous anyway. That’s to be expected. General anesthetic, in which you are in a very deep sleep, completely unaware of anything that is going on. Spinal anesthetic, which is injected between the vertebrae, and causes you to be totally numb from the waist down. You will also be given a sedative to calm you, so while you may be nominally "still awake," you will feel nothing, and probably fall asleep anyway. 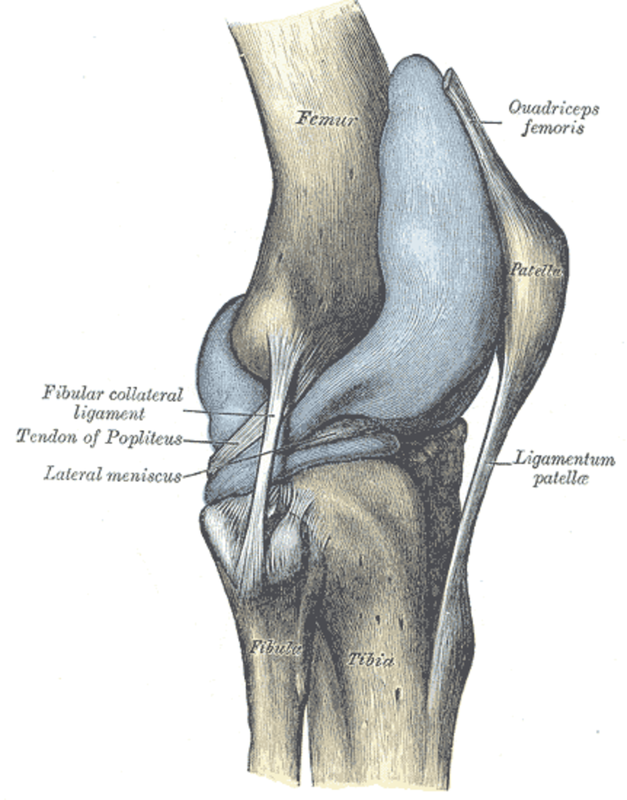 Femoral nerve block, which is injected into the groin area, and numbs just the operative leg. Again, you'll probably be given a sedative to calm you and you may fall asleep. General anesthetic is harder on the body, including the heart and lungs, so it will depend upon your general state of health of those organs whether this is offered. I was also told that the post-op pain is worse with a general than with a spinal. Spinal anesthetic can be risky--any time you are introducing anything into the spine there is a possibility of nerve damage, infection, or of the medication going to the wrong location, if the placement is off. Femoral block holds the possible after-effect of "foot drop," in which you may find it hard to pick up that foot without your toes dragging. If this happens, you will be given a leg brace to help. I was still awake upon arrival in the operating room. Even though I was somewhat sedated, I was sufficiently awake to glance around and notice an array of things that looked like carpentry tools! But, I didn't have much time to think about that, because as soon as I was on the operating table, they put on the mask and I was out within a couple of seconds. 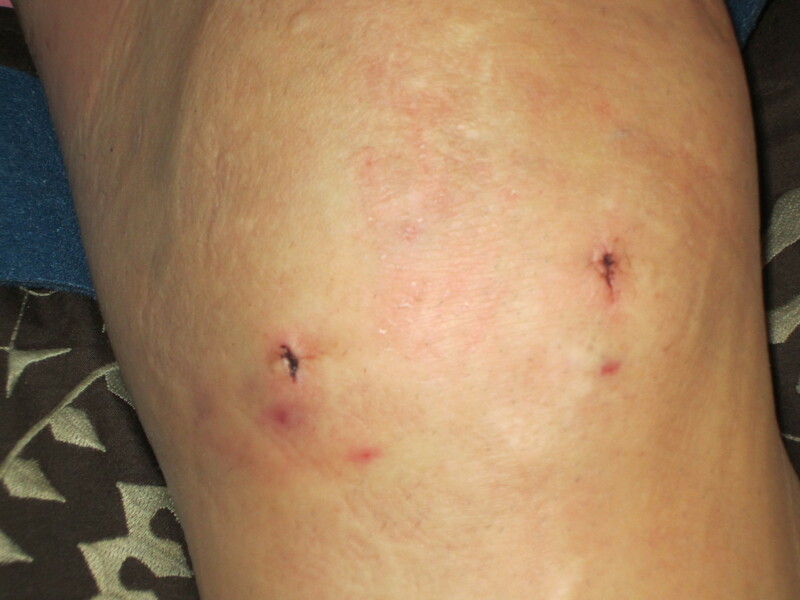 Whether the knee replacement is full or partial, the general procedure is very similar. After making the incision to expose the dysfunctional joint, the surgeon will need to remove the damaged parts and shape the ends of the bone to fit the new joint. This includes drilling holes into both the femur (thigh bone) and the tibia (the larger of the two bones in the lower leg) to accept the shafts of the prosthetic so that it will be stable. Depending on your surgeon and the type of replacement joint they are using, it will also likely be cemented in place with a special cement. It sounds grisly when you think about it, but it was explained that there are no internal nerves in the bone. You don’t feel any of that once you are awake. Sure, there is pain at the incision, and the nerves and muscles will be complaining from having been shuffled around to make room for the doctor to work, but there is no pain at all within the bones. It’s Over, and You’re Awake. Now What? Naturally, your waking-up process will be very slow--you’ll start to wake up, but it will be just too much effort to keep your eyes open at first; you’re still very groggy from the anesthetic. As it wears off, though, you’ll gradually awaken fully. Then you start to experience post-operative pain. For the most part, that isn't horrible, as today’s hospitals do a pretty good job of keeping you medicated to control your pain to tolerable levels. That said, there will be some pain, and you will at first be unable to move that leg unassisted. 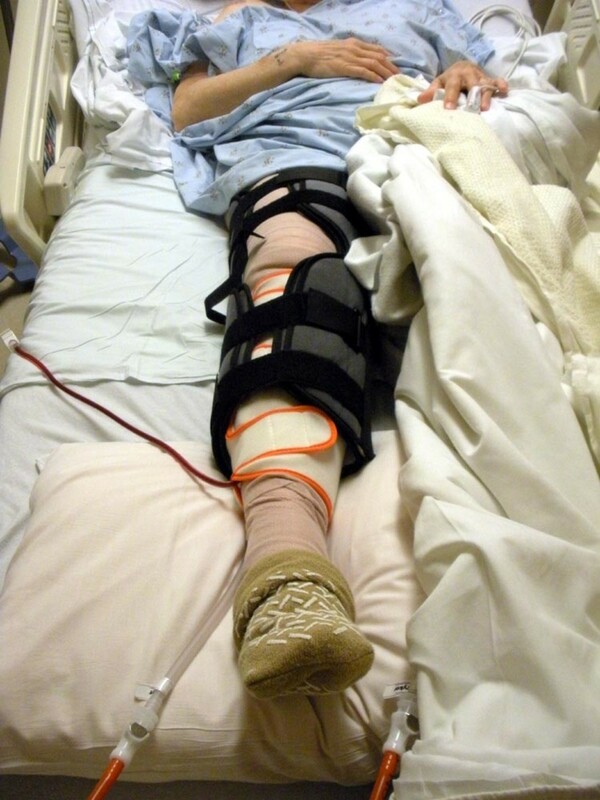 You may find that your leg, in addition to the bandages, has been encased in a removable splint of sorts--this is to prevent premature bending or moving of the leg while you are asleep, as seen in the photo just below. The red tube is actually a blood drain, to check for infection, and drain out excess blood that may have accumulated in the surgical site. The clear tubes are air pressure feeds, connected to the orange-trimmed leg wrappings. They alternately compress and release the leg. It's a treatment to help prevent blood clots. 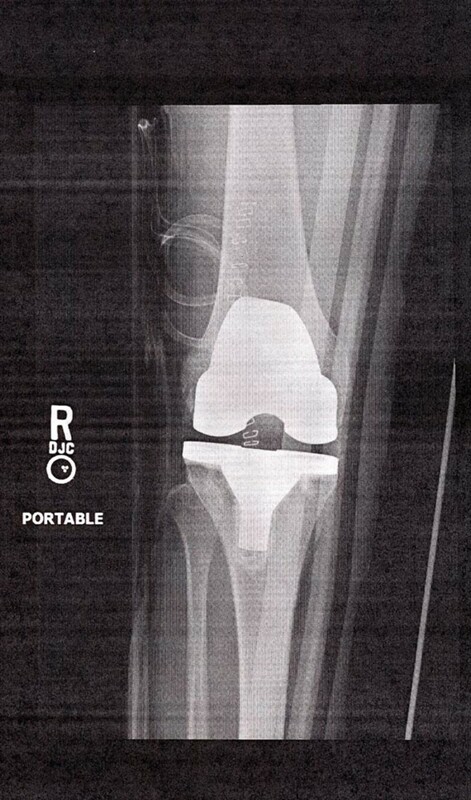 Knee x-ray, one day post-operative (rear view). You may find that you have been scheduled to have your repaired leg strapped into something resembling an old torture device, called a “CPM (Continuous Passive Motion) machine.” Be thankful. It keeps the joint from stiffening up, and makes getting up and your post-op physical therapy easier in the long run. 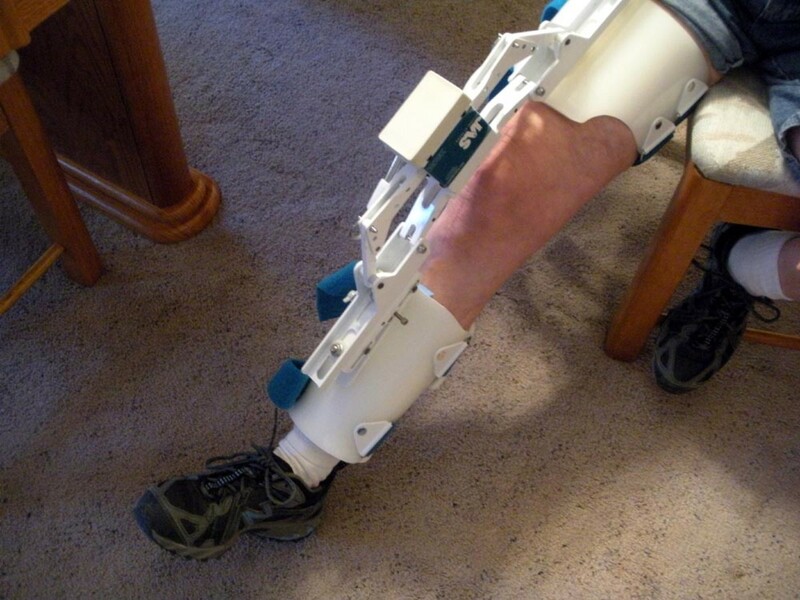 This device is a framework with a motor and hydraulic shaft and piston sliding on a track under a cloth covered cradle that supports your lower leg. As it runs, it gently pulls and pushes your leg from bent to extended in a repetitive cycle. I was put into it for two hours twice a day. Inquire about having one rented for use when you get home; if the doctor writes a prescription as “medically necessary,” most insurance, including Medicare, will pay for it. You must convince your doctor that YOU need the gizmo, and get him to write that prescription. I neglected to mention this to my doctor, as I did not realize just how helpful it would be. You WILL need strong help at home to use it, though--the thing is heavy--it always took two nurses to lift it on and off the bed--even guys. The leg will be all bandaged and wrapped at first--you won’t be able to see anything of the surgical site. The morning after the surgery, they will want you to get up and walk a little. I was so scared I wouldn't be able to stand the pain of bearing weight on that leg. I found, however, that thanks to the meds, it was no worse than the pain I had been in prior to the surgery. At first, you’ll be using a walker to navigate. Your balance will be off, and you will need this assistance. You will be taught how to use the walker, and how to get yourself in and out of bed; to the bathroom; and for short walks up and down the hall. You will be asked about any stairs you may have at home, and taught how to negotiate them safely. 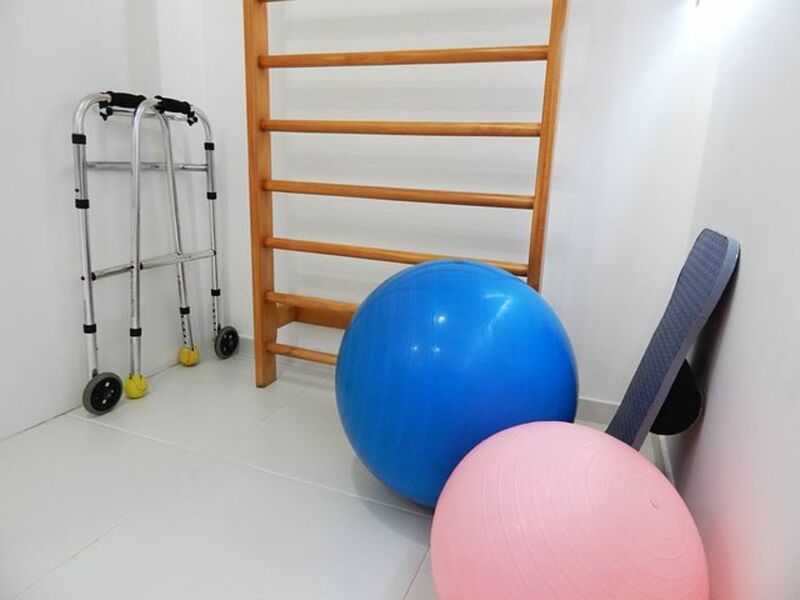 You will also have your first physical therapy while still in the hospital--this will consist of ‘range of motion’ exercises, and a lot of ankle rotations to encourage the circulation in your legs and feet. Barring complications, you will likely be released just two days after the surgery. In the “bad old days” when people were kept in the hospital and in bed for a week or two following a major surgery, recovery time was actually longer, because of the lost muscle tone while lounging in bed day and night. Also, complications such as blood clots were more common, because of the blood tending to “pool” in the lower body areas where you are resting in bed. Once you are home again, it’s not over. The hard part lies ahead. Your age and prior mobility at the time of surgery are prime factors that will contribute to how fast you are able to recover, and how hard or easy your physical therapy will be. Another factor is how long it was between the onset of the problem and the surgery. The longer you lived with it, as in my case, the tougher it will be on the other side. I found my physical therapy a rather painful challenge, but it had to be done and worked through if the surgery was not to have been in vain. You’ll be scheduled for physical therapy appointments once or twice a week at your clinic or hospital. During that time, the therapist will evaluate your range of motion and balance progress, and assign either new exercises or additional repetitions of existing ones to help you build strength. It’s the muscles of the thigh and lower leg that support the knee joint and allow it to work smoothly, and those muscles must be re-trained. Also, the supporting ligaments must be re-stretched to allow your full range of motion. In the physical therapy setting, you will be using equipment familiar to anyone who has been to a fitness club. There are upright stationary cycles; recumbent cycles, weight machines, parallel bars, mirrors so you can check your progress with the exercise, balance balls, and the like. For knee surgery, you will probably not be put on the weight machines, but on the bikes and the parallel bars. There are also padded tables on which you will do exercises while lying down. 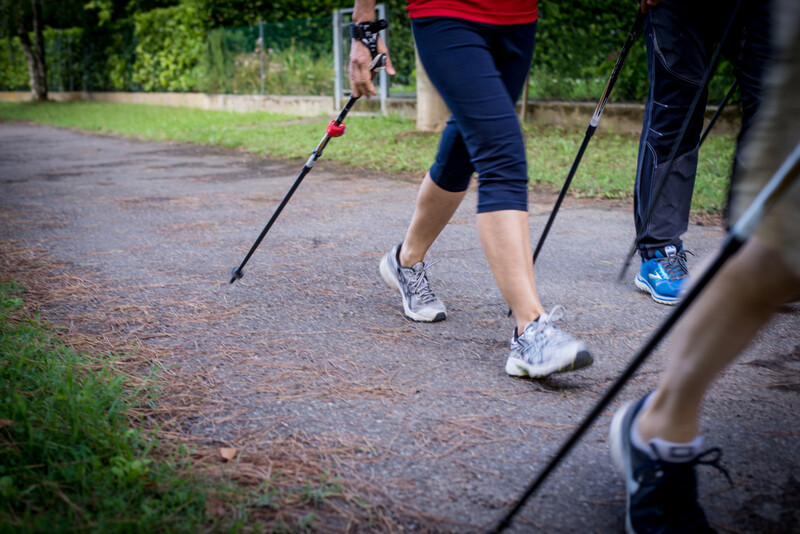 Additionally, you may be given resistance bands, which are tied off to something heavy, and placed around your leg or ankle, to make a range of motion exercise more of a challenge. You may see the therapist once or twice a week, depending on your situation, condition and your doctor's recommendations. You must also continue to do all the exercises you have been given to do at home on a daily basis, for full recovery. All in all, the entire process was not as bad as I had feared. However, in my case, I was recovering not just from the surgery, but also from a dozen years of a prior untreated injury. My physical therapy was rather painful and challenging, and I did not recover as fast as someone who was seen in a much more timely fashion. That's behind me now, though, and I simply focus on moving forward, for I cannot change the past. Coward that I am, I managed to handle it, so I would definitely recommend this surgery if your doctor says you need it. Modern medicine is amazing; I'm just wishing for the Star-Trek type of non-invasive repairs, but I know that's not going to happen in my lifetime. Thank you for reading. I hope this article was helpful to you if you are facing the decision for having a knee replacement. Have You Ever Had a Knee Replacement? So, what happens months down the road when your recovery progress has been interrupted, or not gone as well as you'd hoped? In my case, my husband's health deteriorated, and as his sole caretaker, I was sidetracked from keeping up with my own therapy and exercises as well as I should have. There are a few options available, most of which involve some pain. How much pain depends on your own level of pain tolerance. Mine is near zero, so it was a tough challenge. Physical therapy will continue, but there are other things added to the mix. Well, not truly torture devices, for they are not designed to be such; but they surely look like something out of a medieval dungeon. I was given a knee splint, complete with straps and a ratchet device for cranking the knee either to a more bent or more straight position. This was supposed to be done for half an hour three times a day. You cannot walk or move about while wearing this device. 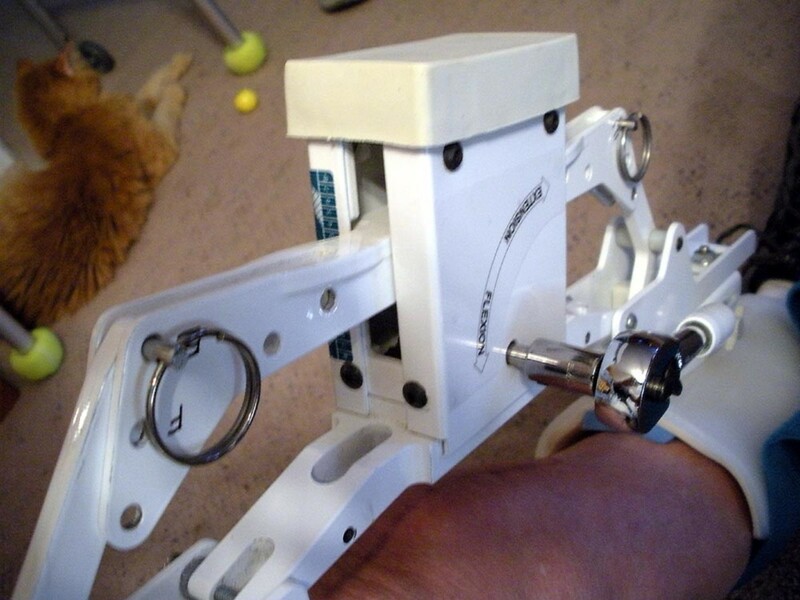 The device was very complex, and required several visits from the fitter to get it to where it was even usable. It is not comfortable at all with the best fit. As my husband's health continued to be unstable, and this is not a device you can use very well on the go, or sitting in a hospital emergency room, that did not work out well, either. The Last Option: Back to the O.R. That's right. With the apparent failure of the fancy splint device, it was back to the operating room. No incisions this time, but they do put you under anesthesia, and force the knee to bend and straighten as it should. Yes, it's painful afterwards, as what they were doing was ripping and tearing scar tissue, known as "adhesions" that develop after an injury or surgery. So, back to the ice packs, and more physical therapy. 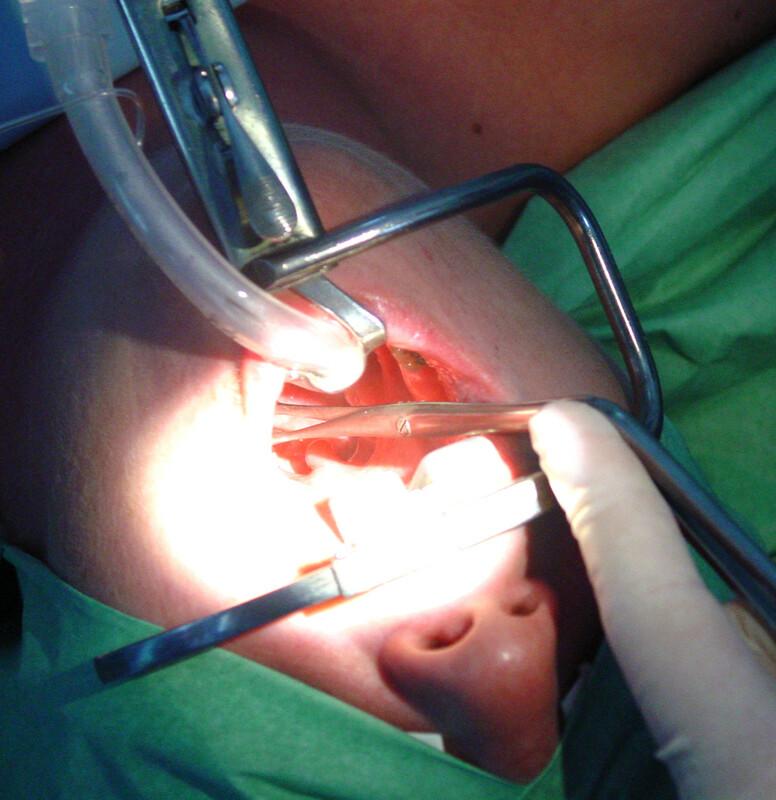 The first two weeks after this procedure is critical. But there is an additional 'catch.' I was told by the doctor that the range of motion of the knee prior to surgery is a fairly good indicator of the final outcome afterwards. Oh, dear. My range of motion was pretty restricted already, and since I got into the surgery on a cancellation with only a week's notice, I had no time for preparatory physical therapy or strengthening exercises to build up the muscles supporting the knee, to assist in recovery. At this point, I am beginning week two, and working very hard to overcome the setbacks I've had. At times, the exercises reduce me to tears, and are sometimes more painful than was childbirth. Nonetheless, I persevere, for I do so want to return to riding my bike and get back on my rollerblades! Well, as of this month, April of 2014, it has been a year since the surgery. Is the knee perfect? No. It probably never will be as good as the original knee prior to the injury. However, it is a thousand times better than it was before the operation. I can now lift my knee up onto the opposite leg to tie my shoe or dry my feet; I can get down on my knees to do things (but padding is appreciated); I can walk without cane or walker, back at my normal speed; I can ride my bike, and return to my karate classes. I look forward to returning to my in-line skating just as soon as the weather warms a teeny bit more. There is still a little bit of swelling, which I was told may never entirely go away; there is still a slight tendency for achiness in cold weather; and to stiffen up a bit if sitting for too long in one position. But, that also all goes along with getting older, knee replacement or not. I feel as good as new; and though I cannot bend as far as I used to, such as squatting down, I can do anything else I want, including climb ladders to trim trees, and other such activities. All in all, I cannot complain, and I am very happy with the outcome. How long does knee pain last after surgery? It will be different for every individual, and depend on such variables as your age and general fitness level at the time of surgery; the amount of lost motion and flexibility before the surgery; and even one's own level of pain tolerance. The surgical incision pain is pretty well handled with modern analgesics. My pain tolerance is fairly low, but even with that in mind, I didn't have too much pain from the surgery after about two weeks. However, I found the therapy sessions rather grueling. Others may find it a breeze, again, depending on your own pain tolerance. Generally, they will advise you not to try and do things like drive a car for about two months, and not engage in activities that put weight-bearing force on the joint, such as jogging. But that has nothing to do with pain; only with ensuring full healing. Sorry I cannot be more specific, but it really is very individually subjective. Thanks for that explanation. Ironically, we live in a "major metropolitan area," (just an hour east of San Francisco), and our health care provider is a huge outfit; Kaiser Permanente. We have a local hospital that is pretty comprehensive, and they have an even larger one half an hour away in the town of Martinez, and another, about 40 minutes away (more if traffic is bad), in the more upscale town of Walnut Creek. Ironically, even they have chosen to 'centralize' some kinds of services. For instance, we have to travel to Walnut Creek for my husbands echocardiograms, as they are not offered at our local hospital; he has to travel an hour and a half away, down to Santa Clara, for any more intensive heart procedures, as that is where the heart program is. Luckily for me, the orthopedic surgery center is at our local venue. Yes, worth it eventually. In fact I yesterday asked my GP for a referral to have my second knee assessed. I didn’t intend to imply criticism of the NHS - staff do a wonderful job in the face of ever increasing pressure on resources - ageing population, budget constraints, staff shortages etc. The problem is that demand will always exceed the money available unless there is a ring- fenced increase in income tax to fill the gap. I had my TKR in a very small hospital in my home town - it no longer offers major surgery as the NHS Trusts have tried to rationalise by concentrating some services in large medical centres.I believe that in the larger hospitals, in cities, the range of equipment on offer is much wider than that in a small town. Thank you for your comment and insight. Yes, the first 6 weeks are rather torturous, I agree. In the end, though, it was very worth it for the final outcome. I was not aware that your NHS was not quite as fully comprehensive as we here in the States are led to believe. However, I'm glad that your surgery went well for you. I know if I ever need to have the other knee done, I would not hesitate. It’s interesting to read another perspective on TRK. The first six weeks after surgery were the worst of my life but after that time was over I was so pleased that I opted for surgery. It seems that you had a range of equipment available to help with recovery that it not offered by NHS hospitals here in England, and your physio was mor frequent and intensive than mine. I look forward to your continuing healing, until you can bike and rollerblade. Promise to write a hub once you've reached that point, okay? Meantime, keep the faith and stay strong. Thank you for this interesting and informative hub. I'm glad you found this article useful and informative. I hope your parents find it useful as well. I appreciate your comment, and thanks very much for the vote! Thanks very much. I'm most pleased that you found the article so useful and informative. As of now, I have been officially discharged from formal physical therapy sessions, but I must continue to work and exercise on my own to avoid losing ground. If you are considering such surgery, do not let them put you off and give you the line about "we don't like to do it before age (whatever)." It's your body, you are in control, and have the right to insist on what is right for you. Thanks very much for the share! This is a fabulous hub for someone considering knee replacement surgery! The facts and details are very useful and the description of your personal experience is extremely valuable. I hope your recovery from the surgery is going better now. I'll share this hub. Thanks very much for your kind words. I'm delighted that you found the article useful and informative. I'm glad you found a solution that worked for you, and I wish you continued success with it. Thanks again for stopping by and sharing your thoughts, and for the votes! 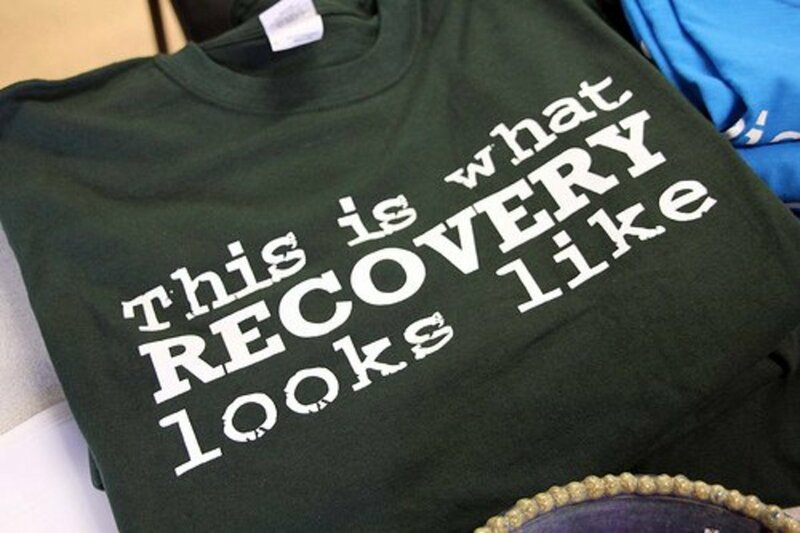 I hope you are well on the way to recovery now. Voted up +++. Thanks much--I'm glad you liked the article. I hope your husband is now recovered and back to normal. Thanks for your good wishes. I felt like I was reading my husbands Total Knee Replacement journey! Way to go Liz, your article is filled with useful and vital information and tips. Wishing you continued success on healing and recooperating. Golly.. I'm so sorry. I wondered myself when I was told that...I could not imagine that would be the case...it seems there is so much more weight-bearing dependent upon the hip, and not even any relief from that when sitting. The knee was bad enough, although, I am a total wuss crybaby when it comes to pain; I have a very low tolerance threshold. The doc injected novocaine in several areas around the surgery site while I was still under anesthesia, so I think that helped, plus the IV pain meds while in the hospital. I'm still struggling with my exercises, though, as I've had a few setbacks due to all the running around taking care of hubby's health issues, which are far worse than mine...but the pain has never been more than I can bear, or more than the medication can handle. Usually, I just take Advil. I would hate to think that anyone was going through the pain that I had in my hip. Pain so bad that there was no sleeping. And my friend Patricia could not walk because of the pain in her hip. I sure hope your knee was not that bad. Hello Shyron--Thanks so much for your input. I am delighted you found the article useful, and I thank you for the share and votes. I perhaps should add what I was told prior to the surgery--that knee replacements involve more post-op pain than hip replacements. Of course, I cannot vouch for that personally, as it's outside my realm of experience. This is great information. 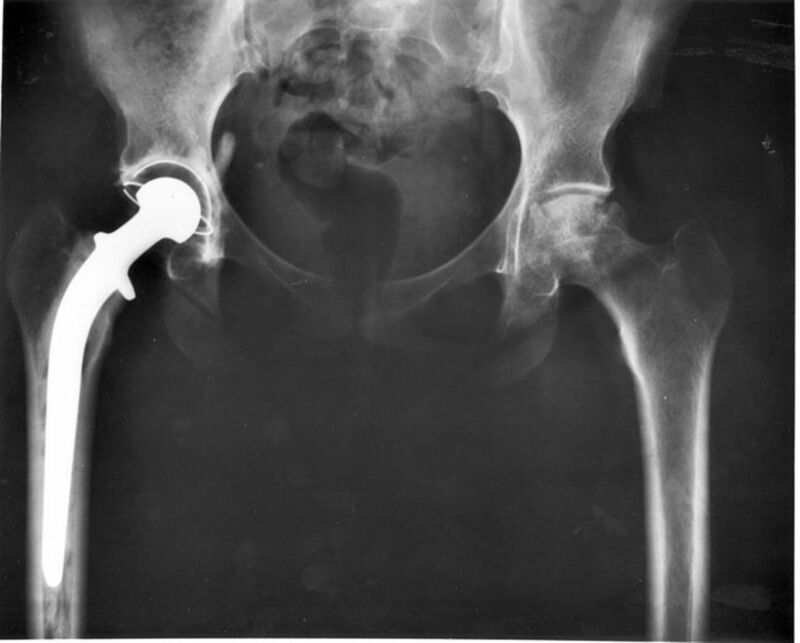 I had a total hip replacement and know several people who had knee replacements. This is very well written, anyone contemplating this surgery should read this. Voted up-useful and interesting and will share. Glad I was able to shed some light on the procedure, and offer some tidbit of new information. Thanks so much for the comment, and the share and votes! I'm most pleased that you found the article helpful and that I was able to answer at least a few questions. Thanks so much for stopping by, your nice comment and the votes! So thoughtful of you to share from your own experience these details about the injury and the surgery. You've answered questions we wouldn't know to ask. Voted Up and Useful. I'm delighted you liked the article so well. You do have to do your own research--even if it means making a pest of yourself asking questions of the doctor. Wow--both knees at once--I'm glad I didn't have to do that! They told me not to do full weight-bearing without a walker or crutches for at least a few weeks. I was taught how to navigate the few stairs we have to our back door, but told not to walk without the assistive devices for a while. Weird, because the doc told me that because I'm slim, the recovery should go fairly quickly. Many thanks for your comment and sharing your experience with the matter. 5 years ago from Brisbane, Queensland, Australia. Excellent article. There's certainly a need to do one's homework before having this surgery. Luckily it is not on my agenda - though my ex-husband did. He had two knees done at once, but didn't need a walker, and in fact walked unaided up stairs a week or so after surgery. He has done very well - surgery was about 3 years ago, but has never been able to ride a bike since. You are so right about how they want to put you off for years. That’s exactly what the county medics did to me--“Oh, well, we don’t like to do that at your age--they only last 10-15 years, and you don’t want to go through it again when you’re 80.” I say, “Pffft! It’s MY body…I’ll decide that!” But the county just doesn’t want to spend the money. The replacement joint will last as long as you take care of it, and don’t take up any foolish hobbies such as bungee-jumping or skydiving! My doctor says I should have no trouble getting back to bike riding and even rollerblading. I look forward to that! @ janshares--Thank you so much for your thoughtful comment; I’m pleased you found the article useful and thank you also for the votes! @ innerspin--I don’t know how old you are, but I’d not let them stall you off for too many more years, especially if it’s already affecting other joints and making you walk funny--that will take a toll on your back as well. RA is not fun to deal with, and if your doc is insistent about putting you off, I’d ask for a second opinon…and…BE PUSHY--it’s YOUR body!! Thanks much for sharing your story and for the well-wishes. @ LA Elsen--I’m glad you liked the article, and appreciate your comment. Thanks much for the vote and share! 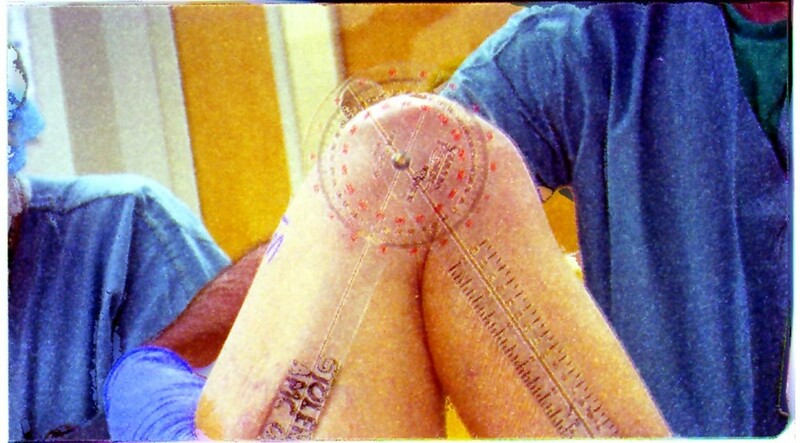 This is a very comprehensive look at the knee replacement process through the patients eyes. Voted up shared. I recently saw my doctor about a painful knee, and was surprised he mentioned knee replacement as a future prospect. Hope that's a long way off, but I take your point about " sooner rather than later." It does make you walk differently, and throw extra pressure on other joints. As I have rheumatoid arthritis, that's not good. Interesting hub, thank you, and keep up the good work with your exercises. Best wishes for a smooth recovery. Very thorough and informative, indeed, DzyMsLizzy. Your writing is clear and concise. This would be helpful to patients, as well as doctors, to help them explain in laymen's terms. Voted up and useful. 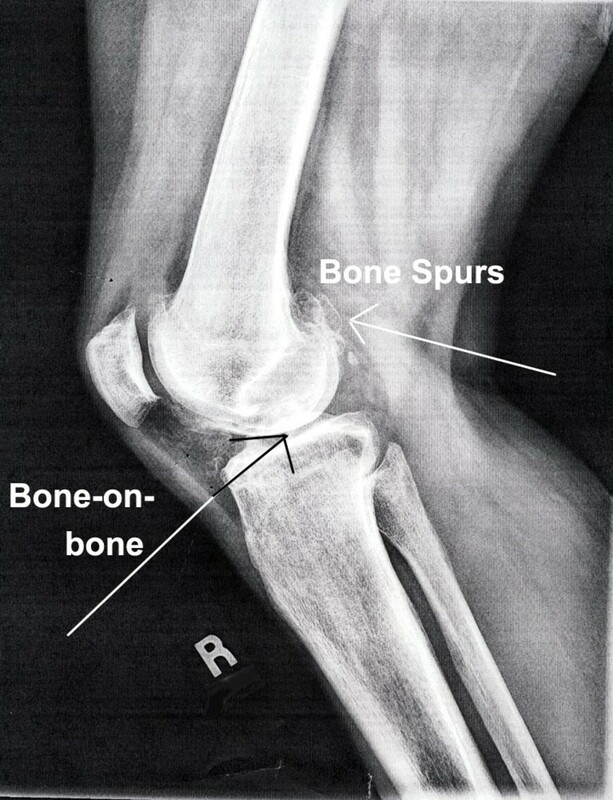 This is so helpful Liz, for all those people who are looking at a knee replacement surgery in their future. In my case, I had my left knee replaced and it was the most painful surgery that I have ever had to endure, and I've had lots of them. I would NEVER go through it again. So, if you need your both knees replaced I suggest you do it at the same time because once you do it to one, the chances are you won't want to go through that again ever. The moral to this story is to TAKE CARE OF YOUR KNEES WHEN YOU ARE YOUNG. Another thing you might want to mention is that Doctors will put off this surgery for as long as possible... in my case it was for over ten years. The metal knees are supposed to last only from ten to fifteen years, so they don't want you to have to go through it again when you are really old. The point it when your knee needs to be replaced you are in constant pain and distress from it, so what's the difference when you get it done? I think the doctors are messed up with that policy. Thanks again for a great hub. And I'm happy to see that you are okay and on the other side of the surgery now. And don't be surprised that it will take about a whole year for that knee to heal. That's about how long it took mine.